For the last week, the NBA universe was revolving around Anthony Davis and his distinguished unibrow. 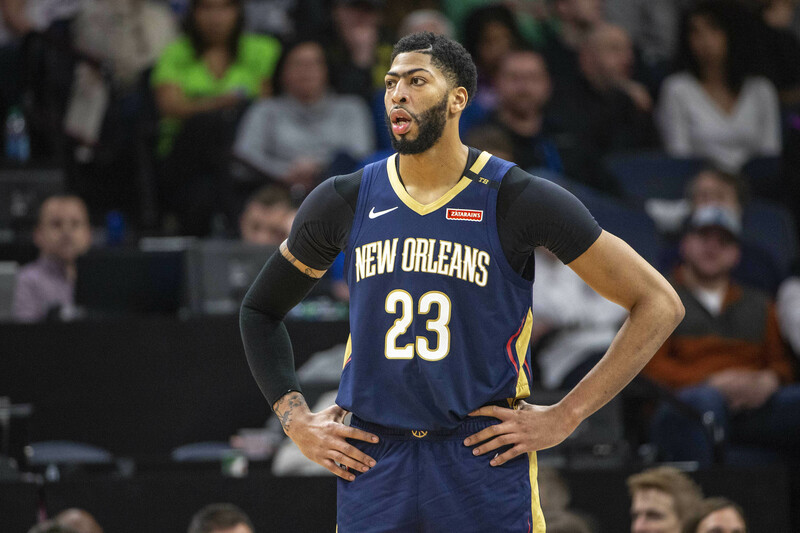 The elite big man made it clear — through his representation — that he now wants out of New Orleans. The desperate Lakers are sniffing around the situation — reportedly willing to offer their entire young core for one player. Boston fans are crying in a corner somewhere over the potential news that Kyrie Irving might leave in the offseason — not to mention that Davis reportedly does not want to play for the Celtics. While all of this hysteria was occurring, the Dallas Mavericks stealthily slunk over to the phone and orchestrated what many are calling a franchise-changing transaction. The New York Knicks traded franchise cornerstone Kristaps Porzingis, Trey Burke, Tim Hardaway Jr., and Courtney Lee for DeAndre Jordan, Dennis Smith Jr., Wes Matthews, and two future first-round picks. Our piece will break down what this trade means both in the interim, as well as in the future for both teams. Simply put…I hope the Knicks know what they’re doing. For whatever reason, Dallas simply hasn’t been known as a free agent destination. Mark Cuban has spent both time and energy in trying to reel in a big fish over the last decade-plus. As such, Dallas needed to get creative in trying to land a big-time player. The Mavericks front office were able to capitalize on the Knicks’ volatile organizational issues in the form of Porzingis. Yes, we do recognize the inherent risk in trading for the Latvian big man. He can opt out after next year to become an unrestricted free agent. Coming off an ACL injury, there are questions as to how healthy Porzingis will be years from now (as many have publicly and privately voiced concern over his leg issues and a balky back). With all of that said…Dallas swung for the fence in a big way. A healthy Porzingis is a near perfect fit next to Luka Doncic. In the wake of Dirk Nowitzki retiring, the franchise now has two guys ready to carry them for the next 10-to-15 years. 7-foot-3 players with elite rim-protection skills and range from beyond the three-point line simply don’t grow on trees. Porzingis is a potential multi-time All-Star (in a perfect world). Assuming he stays healthy, Dallas just stole a franchise-level player in what essentially became a salary dump by New York. The THJ contract isn’t an ideal one, as he’s still on the books for two more years (at nearly $19 million a pop). However, it doesn’t really matter much. Dallas wasn’t drawing free agent players to begin with. By the time Doncic is due for a massive extension, THJ will be off the books. Dallas can absorb this contract, and hope that Hardaway Jr. will provide the team with a bouncy shooter/slasher. If Dallas is as good as it’s projected to be down the line, the two first-round picks won’t be very good. With that said, they were left unprotected. An often-injured Porzingis and unfruitful free agency moves could leave Dallas exposed (in a very worst-case scenario). However, that was a risk — and a wise one — that Cuban was willing to take. The Mavericks now have two massive building blocks (both under the age of 24). There’s not another team in the Western Conference able to boast a better duo (and that includes Phoenix). Before Knicks fans jump off a bridge, let’s start with the positives of this trade. New York did manage to get off its two worst contracts. In the process, it opens up nearly $76 million in cap space for this upcoming summer. The Knicks now have the capabilities to sign two max players in July. This works quite well for the Knicks with the likes of Kyrie Irving, Kevin Durant, Jimmy Butler, Klay Thompson, Tobias Harris, DeMarcus ‘Boogie’ Cousins, Kawhi Leoanrd, and others becoming free agents. The Knicks also got a promising young guard in Dennis Smith Jr.. At the very worst, the high-flying guard will endear himself to those in MSG. There’s also two unprotected first-round picks being thrown New York’s way. Should Dallas unexpectedly crater, those assets could mean something eventually. At the very worst, it gives the front office more ammunition to use in a future trade. Now, here’s the part where we all scream incessantly over what the Knicks did. It’s rather perplexing to sell this low on Porzingis — the guy billed as the best player in New York since Patrick Ewing (sorry Carmelo). Reports indicated that Porzingis met with the team literally hours before being dealt. 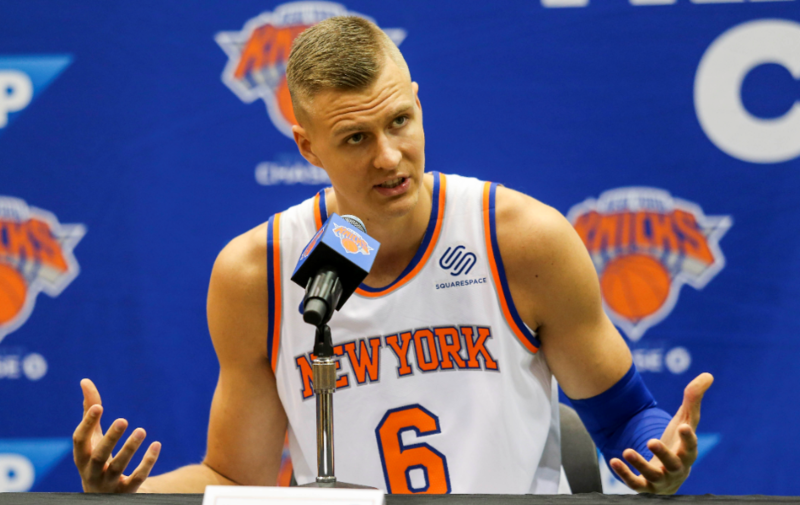 It was said that Porzingis had questions over the future of the franchise. There was nothing to suggest that he overtly asked for a trade. Nonetheless, he was curiously dealt less than an hour later. There are two sides to this potential story. On one hand, Porzingis is portrayed as the villain in this scenario. The Knicks may have felt like the relationship between the two was not salvageable, and thus decided to jettison him elsewhere. On the other hand…it doesn’t make a whole lot of sense to think the Knicks dealt Porzingis this rapidly without prior exploratory trade talks. This trade would’ve existed in the summer, and especially after the lottery order determination. It’s perplexing to ship a player of Porzingis’ ilk to Dallas without collecting other offers. By waiting until July, one could assume that multiple teams would be leaping at the chance to get Porzingis. With all of that in mind, it’s very feasible to believe that the Knicks and Mavs had extensive trade discussions prior to Thursday. If this was the case, Porzingis wasn’t really in their long-term plans at all. The other wrinkle is the amount of money New York is betting on itself to land a Durant or an Irving (or both). The team has now cleared the decks, and offered a relatively clean slate to work with. This also includes their pick this year (which could turn out to be Zion Williamson or Ja Morant). However, it’s far from a sure thing. Why would Durant leave the best team in basketball to go somewhere with no winning culture? Duly, would Irving leave a great situation in Boston — or another intriguing one in Los Angeles to play for the Knicks? Lastly, what if the Knicks get the fourth pick in the draft? The drop-off between Williamson, Morant, and R.J. Barrett is substantial. Should none of the free agents come, the Knicks then face the possibility of overpaying for Tier 2 guys (Tobias Harris, Boogie Cousins, Kemba Walker). There’s even a situation where the Knicks don’t land anybody of consequence. This would be catastrophic, particularly since New York traded away the only valuable player it has had in quite a while. One thing’s for sure: This summer will be wildly fascinating.